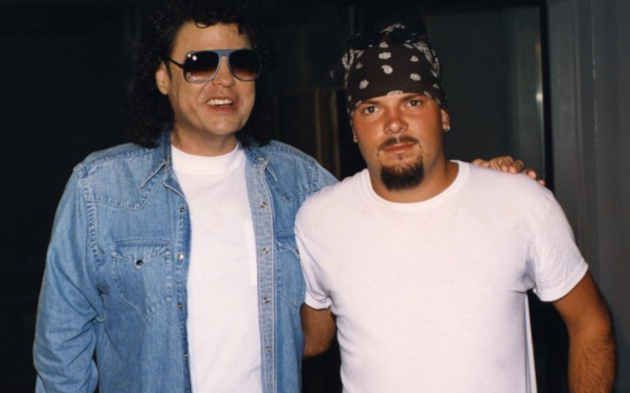 Ronald Todd Milsap, the son of Country Music Hall of Famer Ronnie Milsap and a man who worked behind-the-scenes in the music business, has died at the age of 49. He was found dead on his houseboat at the Four Corners Marina on Percy Priest Lake just east of Nashville Saturday morning (2-23). He was discovered by his son, who went to check on Milsap after not hearing from him for a couple of days. Foul play does not appear to be involved. Along with sharing a similar first name with his famous father, Ronald Todd helped plan his father’s tours, recording projects, public appearances, and other obligations, and helped on the country music legend’s videos. He attended the Franklin Road Academy private school in Nashville, and Hillsboro High School. Ronnie Milsap’s next scheduled appearance is on Thursday, February 28th at the Lexington Opera House in Lexington, Kentucky. Ronnie recently released his latest record, a duets project called The Duets, on January 18th. Funeral arrangements will be handled through the Woodlawn Funeral Home with details forthcoming. 49. So young. So sad. Such sad, sad news . As a parent , this heartbreaking news cuts to the marrow . I kid ain’t supposed to die before his parents- that just ain’t right! Ronnie and family. So sorry and saddened to hear of the loss of your son. Our thoughts and prayers are with you and your family at this time to find peace strength and comfort. So sorry about Todd. Our prayers and thoughts go out to you and your grandchildren at this devastating time. So sorry for your loss.I will keep you and your family in my prayers. God bless you all. So sorry for your lost. Todd was a great guy and we’ll keep your family in our prayers. P.S. I miss being in touch with you. Many prayers so very sad. God be with this grief stricken family. Ronnie & Joyce, I am so sorry about Todd. I know you both are hurting today but lean on God & He will give you grace to bear this burden. I have loved & followed your career since 1976. I will be praying for you & your family. Love, Brenda from Brunswick. So sad to hear. Rest in peace, Ronald. That was so sad and when I saw Ronnie sing last night (3/2/19) at the American Music Theater in Pennsylvnaia, last night you could hear the pain in his voice. Just one week after his son dies, he is on stage. That tells you what king of man Ronnie is. A true legend. Pryaers to him and all his family.